Between work, kids, family, and social obligations, cleaning your house can quite literally become a chore. When you decide to hire a professional house cleaning service for your home, you’ll receive excellent service and your home will be cleaned to your standards. Consider these top five benefits of hiring a professional house cleaning service to maintain your home. Your toilet needs scrubbed, but you’re out of cleaner? Not to worry. Professional house cleaners bring their cleaning supplies with them. Each Maid to Shine house cleaner carries the highest quality certified green cleaning supplies to clean your home and protect your health. Rest assured the cleaning products contain no dangerous chemicals and are safe around children, pets, and guests. Even though they don’t leave a trace, germs don’t stand a chance. Your home will be shiny clean and you won’t need to worry about keeping cleaning supplies on hand. Professional house cleaners offer you the quality service you deserve. They’re educated on cleaning a home to standards and work fast while double checking they don’t miss a thing. You’ll know when you hire a professional to come into your home, you’ll receive great results and top-notch professional service. Though cleaning packages are available and fit most families, custom cleaning plans can be built to fit your exact needs. If you have hard to clean areas in your home, professional cleaners can work with you to design a plan just for you. Ask the professionals about customizing your house cleaning plan to create a plan that’s right for you. Chances are you don’t allow just anyone to come into your home. With professional cleaning services, you’re working with a bonded and insured company with trusted employees who pass background checks and references. This offers you peace of mind knowing you and your possessions are safe and secure each time a professional cleaner enters your home. Let’s not forget the most important benefit: a clean home! Professional cleaners know all the tips and tricks to make your home spotless and germ-free. You’ll love coming home to a clean home after a long day at work. You can rest at ease knowing your home is cleaned to your standards and you’ll have more time to focus on other fun activities. Professional house cleaning services can cover all of your cleaning needs. They provide green cleaning supplies while offering you excellent service and peace of mind. You’ll feel great about your decision to hire professional house cleaners. Call the local professionals at Maid to Shine at 719-640-3276 to schedule a cleaning appointment for your home today. Benefits of professional house cleaning services are useful. For people who spend a lot of time away from home and don’t have time to clean themselves, a professional cleaning service can be a blessing. 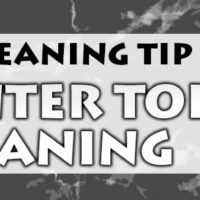 Like you said, professional cleaners know a lot of tips that you might not, and they’ll do the work so you can do other things after a day at work. It takes a lot of stress off knowing that you don’t have to worry about the house when you come home. Professional cleaning services might not be for everyone, but they can be nice for those who can’t seem to fit in housework in their daily routine. Thanks for the article. I have recently been given much more responsibility in my life, so I am never home enough to keep the house clean. I have been thinking about hiring a professional cleaning service, so I really appreciate this. I like how you point out that hiring it out means not only maintaining a clean home, but also means that it will be cleaned with quality products. I imagine that it would be a good idea for me to go online and look for cleaning companies that have good reviews and are trusted by others. Professional services for cleaning are so beneficial for both business owners and home owners. I like that you said that a professional will bring their own clean supplies. I think that it might be a good idea to hire a professional if you are struggling to find time. I think that if you hire a professional then you might want to look at their reviews to see how people feel about them. I agree, it’s nice to know that I can hire a professional and that I don’t have to provide the cleaning supplies for them. I’ve been thinking about hiring a cleaning profession, just because I’ve been so busy with my kids and work recently. I’ll have to look online and see if there are any professionals that live nearby. My brother and his wife have very busy schedule. They both work full time, at different times, and they have four kids they are trying to raise at the same time. I didn’t realize that not only do cleaning services save time, they provide there own green cleaning supplies so no dangerous chemicals are used. They would definitely appreciate that since there are four kids running around. A friend of mine is living in a condo right now, and was thinking about hiring a cleaning service to help him out. It’s interesting that you say that they can actually give your home a custom package that will help you clean your home! Since he is just hiring.them because he doesn’t have a lot of time to clean during the week, it would be nice if there were still parts that he could do in the end. Hiring a cleaning service sounds like a dream come true. I have to admit, I really hate cleaning. Doing the same chores week after week is not my idea of fun. So, like you said, I would love to be able to come home from work to a spotlessly clean home. I like the idea of a custom cleaning plan. I have been afraid that a certain package would have a service that I didn’t necessarily need. Kind of like a television carrier offering me channels that I don’t watch. However, I still want certain channels, so I get it anyway. It is good to know that there is a chance that I can avoid that situation with housekeeping. I like how the article points out that with professional cleaners, you get professional service and greater peace of mind knowing your home is clean. I personally think having a clean home helps contribute to a positive atmosphere in the house too. Another benefit I think would be great is the amount of time you could save by not having to clean. You could spend that time doing other productive things, or even just relaxing! My work schedule has been very busy recently and my wife has also been very busy with the work that she is doing and with our kids. Because of that, it has been very hard to be able to clean the house as much as we want to. I like the idea of hiring a professional cleaning service so that we can have more time to relax in our home. I have ben a little hesitant in the past to use a cleaning service because they are in your house and reorganize all of your things. However, I know that if I find a trustworthy cleaning service I will not worry about anything. There are many benefits from choosing a professional house cleaning service. I think one of them that is pointed out here is that cleaning supplies are provided! You wouldn’t have to worry about buying that stuff. I also stress out about using the wrong thing on certain counters and materials and am scared that I will ruin it all. This was an interesting read, I’m glad that you bring up custom cleaning plans in the article. After all, it is not something that many people know cleaning services offer. However, every house is different in someway, so a cleaning service will tailor their schedule to your home when you hire them. Thanks for the information on house cleaning services. One thing you mentioned that I really like is that professional house cleaners bring their own cleaning supplies, so you don’t need to worry about it. I have been thinking about hiring a cleaning service to help my wife around the house. This should help me make a decision, thanks! Both my wife and I work, so we are exhausted by the time we get home. Yes we sometimes spend an evening cleaning up and organizing things, but it takes so much time that we’re zonked out and ready for bed. Where did our evenings go?! Anyway, these points are good to keep in mind when choosing someone to help clean the house. Hopefully within the next month we’ll have someone taking this load off! My wife and I have been thinking about getting some help cleaning up around our house, but we weren’t sure how to find the right one. I really like that you say to find out if they have green cleaning supplies. It would be nice to know that you will be able to get the safest clean in your house. Thank you for the information regarding the various benefits of hiring a professional cleaning service and how they can give the homeowner a peace of mind. It really helped when you said that professional cleaning services are insured and are bonded to help increase their trustworthiness. By choosing a cleaning service that’s insured, it shows that they are diligent in their work and they are a company that can be trusted on. I like how mentioned how maid services provide peace of mind. My wife has an auto-immune disease and it has become hard for her to clean our home. Knowing that she is safe if a service comes in to help clean is the most important thing to me. I’ll let her know she can get some help at still be at ease. I’ve always found it a bit hard to maintain the cleanliness of our home. I know it’s not ideal but with two kids, it’s a bit hard to catch up with it all. I agree that that you should make sure that the company you are hiring is bonded and insured to ensure that you won’t be left in ashes if something untoward happens. Thanks for the great tips! For some people, house cleaning services can be a real benefit. Especially for those with tighter schedules and deadlines; somebody that can lend a hand with cleaning can really make a difference in the daily lives of others. There’s no shame in admitting you need help with your cleaning duties. Its quite a blessing to be able to hire people that can help you take the stress from your shoulders. I love how you said that professional cleaning services will provide their own cleaning supplies to keep your house spotless with. My husband and I are trying to save some money this year so we can take our kids on a trip to some amusement parks next year. Not having to buy cleaning supplies would be really nice and I would imagine would help us in saving some money. Hiring a cleaning service seems even more appealing considering that I wouldn’t have to clean up after my kids. I like how you mention that a professional cleaning service is able to offer custom plans that fit your family and home the best way. My husband and I just bought a new home that is bigger, so we are wondering if it would be worth it to hire a professional company to help us keep our home sparkling. We will definitely have to get a cleaning service since it would be easy to figure out the best plan that would work for us. I like that you mentioned that a house cleaning service will provide the supplies for cleaning. That could be a huge relief for me and my wife, because we wouldn’t have to worry about keeping that kind of thing stocked. I have been considering getting a house cleaner to help us keep the place in better shape. I will definitely think about it some more! It sure got my attention when you said that one of the advantages of working with professional house cleaners is the fact that they are insured and that I can relax knowing that my items and belongings are protected. it was good that I came across this article because I do not know that even cleaning professionals have to be insured before they are allowed to do the job. Now I know of a way to convince my meticulous mother about getting someone else to clean the house for us. Thank you! My husband and I have gotten really busy lately, and we don’t really have enough time to make sure that our home is clean. So I like how you say that professionals will be able to fulfill your exact needs by making a plan that’s specific to you. We’ll have to find a cleaning company who’d be able to help us. I’m glad you mentioned that professional house cleaners bring cleaning supplies with them. I really need to clean my house, but I don’t have a lot of great supplies to do it. I bet a cleaning service would have some of the better supplies as well. I will have to hire a service to help me clean my home. Thank you for the information! I noticed a few days ago that my house is so messy and cluttered that I do not know how I will move around without toppling something over. I know I have no time to clean up because of my job, so I ended up searching the web for other options that I can actually consider, and I found this article. You mentioned that professional cleaners know all the tips and tricks in ensuring that I will go home to a clean and germ-free home that meets my standards as well as give me the time to focus on more important things. That sounds perfect! I’ll get in touch with pros right away. Thank you! I really like the idea of having a custom cleaning plan. I am particular when it comes to how I want my home to be cleaned, and knowing that someone else could follow that sounds like a huge stress relief. Thanks for these tips! I will make sure to look for a service like this when hiring a maid for the summer months while we’re in and out of town. My family consists of five children and three dogs, so my house is almost always a disaster. I would love to get some help with the cleaning around the house and I think that a professional cleaning company could really help me out. Thank you for suggesting that you talk to the company to get a custom cleaning plan. I will make sure to do my research and find an amazing company in my area. I like how you mentioned that a cleaning company should be committed to providing a safety and peace mind. It’s a good thing that you’re not only addressing the needs of your clients but you are also helping them secure their properties. And that makes the difference, having a clean and secured home! You mentioned that people might be more focused on cleaning the office instead of on getting work done. I’d imagine that that might negatively affect the business’s productivity and employee morale. It might increase the productivity to hire a commercial cleaning service. My husband and I have three children and we want to spend as much time as possible together this summer during vacation. We are thinking of hiring a professional cleaning service and you make a great point that they will provide the best and most up-to-date cleaning supplies. I think it is important to make sure that company has environmentally-friendly and safe products because this will give me peace of mind that they are using quality products. Great information. Cleaning services are many benefits but you share the 5 benefits is really important of house cleaning. You share the nice information on this blog. My father’s home is big and has become too much for my father to handle by himself. You advised asking friends, family, and coworkers for recommendations for good cleaning services. I’ll have to have my father ask some of his friends, as I’m sure they’ve used services especially since it’s harder for them to clean by themselves now. Thanks for the great read. Great ! These Tips are very useful. It is very hard to finding a better clean service , you gave good tips . Thank You ! My mom wants our home to be spotlessly clean because our relatives will be coming over this weekend. It was explained here that having professionals would have the supplies provided for. Having said that, it’s advisable to hire professionals for quality house cleaning services. I’m glad you pointed out that professional cleaners will know the right cleaning tricks to make sure your home is germ free. My husband and I purchased a vacation home recently, and I want to be sure it’s clean and germ free whenever we use it. I’ll definitely take your advice and hire a professional cleaning service for the job! Of the things you listed here, I do think that the professional service is the biggest factor. You can only do so much with the cleaning supplies you can get from the store as a professional would have tougher cleaners. Plus, the cleaners would be able to give you a clean home!